In my opinion, what he meant by the statement is not to promote plagiarism but to encourage writers, particularly the beginners, to emulate the styles and imitate the ways of established writers. It is to make them take the bold step of addressing themselves as writers and taking the giant leap into writing. It is to make dwarf writers stand on the shoulders of giant writers so they become, obviously, taller than them. By act of copying, you become a good writer. In my view, the act of copy is the taking of the subject matter of another because you like it and write your own view on it. A classical example is “Abiku” both J.P. Clark and Woke Soyinka write on it. It is shrowd to readers of the two Poets to know who have copy the other. They have same topic but address it in different style, tone and plot. I have seen colleagues who have written Abiku too and I’ve also written same. In fact, I recently wrote a poem titled MAY YOUR ROAD BE ROUGH. It’s a quote associated with Tai Solarin. I only copied. I actually wrote my own original poem through it. By stealing, you portray a great writer. Stealing is to take word(s) you like (usually words new to you) from another person’s work for yours. It could even be line(s). Then you use it in your own way. It is allowed. The general term for both words is imitation. So when you imitate a writer, you’ve done the amalgam of copying and stealing. Imitation, I mean conscious imitation, is one of the great methods, perhaps the method of learning to write. The ancients, the Elizabethans, knew this, profited by it, and were not disturbed. Imitation is the most direct route to mastering a skill—just follows the master step by step and you’re bound to get it. To do it right, you can steal IDEAS, ruminate on them but write them in your own words. In other words, use the poems to learn from, to get ideas from, to bounce off of, but let your own voice, your own word choices, and very importantly your own subject matter come out. Later on, it comes originally. You won’t need to read much of others to write. As a beginner or want to be writer who find it difficult to write, this advice is a stepping stone for you. You don’t imitate when you take more than five words and/or more than two lines from a person’s works. When you lift a whole stanza and dump it in your work, that’s not only plagiarism, but thievery. By that, you’ve committed copyright infringement. But if you copy and steal in the right reasonable way, then you’re not only a good writer but a great writer. However, as regards copying, should it flow from the titles? 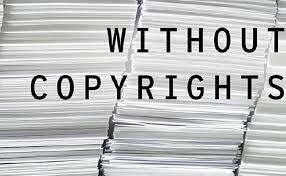 In copyright law, titles and slogans cannot be copyrighted. This means they can be freely copied. This is in tandem with the Copyright Act. What the law prevents is to copy the flow of idea of another person. Since these great icons have written Abiku, and I write mine in different style, tone and settings, then I’ve not infringe on their right.